#1. Awaara – This movie from 1951 by director and producer Raj Kapoor eventually became one of the most successful films of all time. #2. 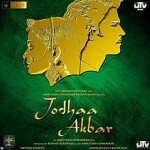 Jodhaa Akbar – This 2008 film won various awards including accolades from Brazil and Asia! It is a historic love story set in the 16th century. #3. 3 Idiots – The name of this 2009 movie sounds ridiculous, but it is a movie that you won’t regret buying – it is universally loved, being one of the highest grossing Bollywood movies of all time! The movie stars R. Madhavan, Sharman Joshi, and Aamir Khan. #4. Sholay – This action-adventure movie is considered one of the best movies in all of Bollywood, and regularly tops out on list of greatest Indian Films of all time. The movie was released in 1975 and is about a police officer who hires a couple of criminals. #5. Mughal-e-Azam – This 1960 flick directed by K. Asif and Produced by Shapoorji Pallonji is a period epic film that has one numerous awards. It was rereleased in 2004.